Come to Hoi An, you will not only discover the golden imprints of the flourishing times of the old town port trade, but you also to explore the invaluable cultural values that was formed on this land. For centuries. 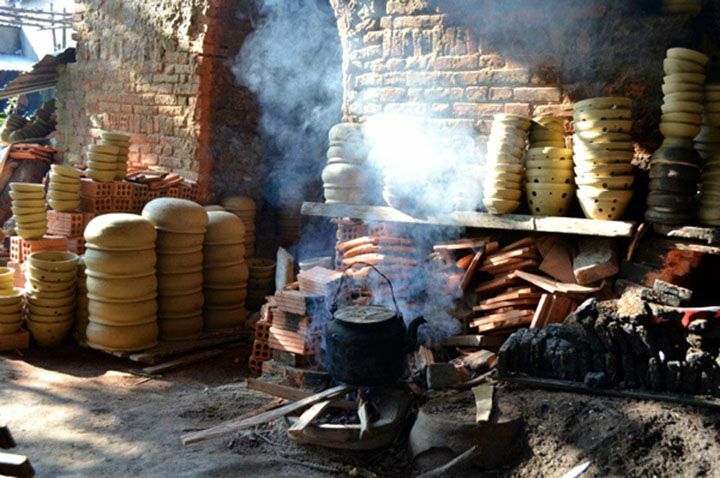 Thanh Ha pottery village is one of the villages contributing significantly to the economic development of trade and tourism of Hoi An ancient town. 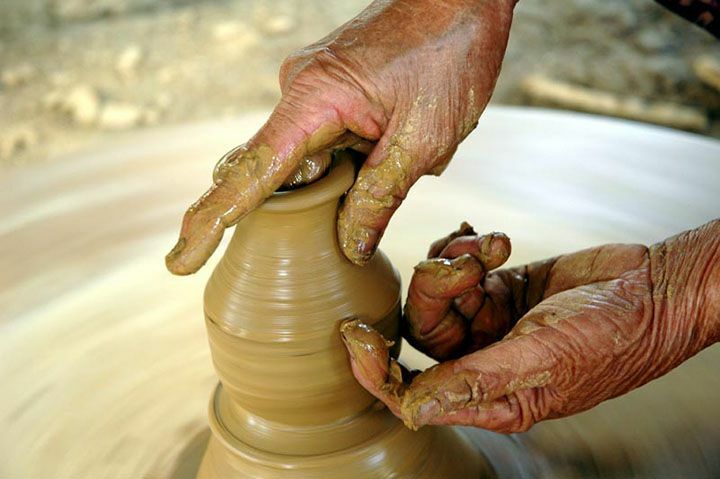 Thanh Ha pottery village has formed and developed for 500 years and together with the development of Hoi An trading port. The products made by the villagers mainly serve the daily lives of the native people in domestic markets. The pottery products include bowls, jars, pots, animal shapes, in multi-forms and colors, and they are lighter than the same products in other places. Also some products such as bricks, yin-yang tiles… were supplied to construct houses, temples, bridges… and formed a bold architectural ensemble tradition in Hoi An. Thanh Ha pottery products are made by very well-trained craftsmen. They use special clay mixing, burning and baking techniques, and heat modulations to bring out different colors. Depending on the time of burning and the temperature of the kiln, the color can be changed from pink, pink yellow to red, light brown and ink-black. Thanks to the special technique of processing soil and the combination of successive manipulations, the durability of their products is ranked at the top as compared to others in the country, and the brightness is the same as enamel. A soft and clear sound with echo can be heard by knocking on the product. Some products are offered on request or used for planting orchids; they are decorated with the sink and float vignettes that are simple but very nice. In the recent decades, Thanh Ha pottery products has been sold throughout the country and sometimes abroad (Canada, America, France). Hoi An is very beautiful, but also very crowded. 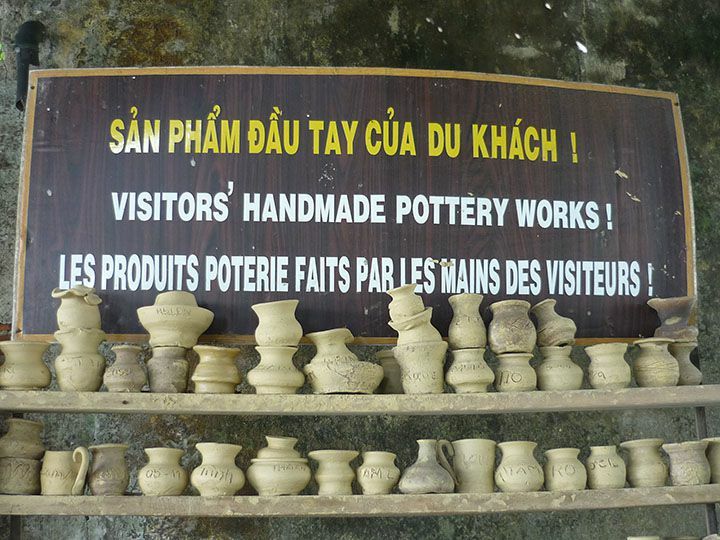 Thanh Ha pottery village can be busy too, but is a whole other world. Thanh Ha is still a pure village. Walking to the village you find easily a workshop museum, surrounded by the houses of several craftsmen where you can learn to work with potter’s wheel. The museum provides a special workshop, developed to rediscover yourself and your hidden abilities with just the use of clay and water. Yin-yang tiles are a special product of Thanh Ha. The tiles are made from yellow clay mixed with sand without impurities. They are baked in fire wood, and are hard and dark red or purple when done, with straight edges, none bent, none warped, wine colored. Yin-yang roof tiles are a creation of the ancients for thickness, the rounded multi-composite shape forms a rainbow as you look down it, and this shape helps to keep space open for air and ventilate the roof. Thus, the yin-yang tiles are usually cooler in summer, and warmer in winter with a high life expectancy of 50 years before beginning to degrade. You could easily recognize the houses in Hoi An with yin-yang clay roof tiles made by Thanh Ha village. Thanh Ha Pottery Village is located by the Thu Bon river, Cam Ha ward, 3km to the west of the ancient quarter Hoi An.